In the monsoon season Myanmar villages get frequently flooded. In 2015, flooding got very bad in Magway Division and Irrawaddy Division. Many organizations and individuals helped in solidarity with the flood victims. 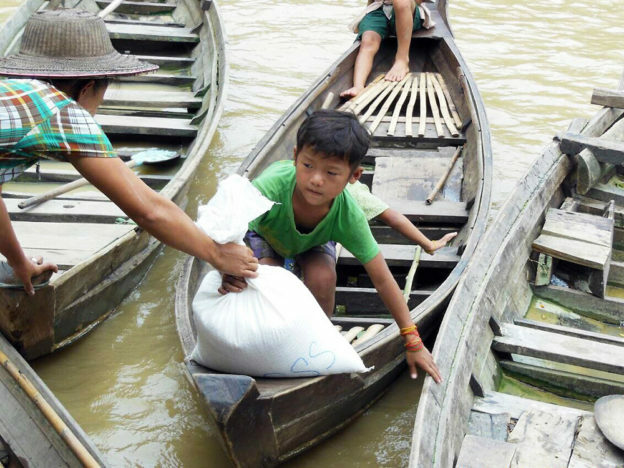 People In Need supported the rescue mission of Ye Lay monastery to Pwint Phyu Township in Magway Division and the mission of the Good Shepherd Sisters to the villages of Kyaung Khon District in Irrawaddy Division. Through Buddhist monks and Catholic Sisters, PIN provided food, drinking water, medicines, and large sleeping mats to the affected villagers.